This is what Jan Aure Gascon said when he was asked why he continues to study despite just using a small source of light. Jan is a 10-year-old student in Abra, now in grade six. There is no source of electricity in Jan Aure’s house. 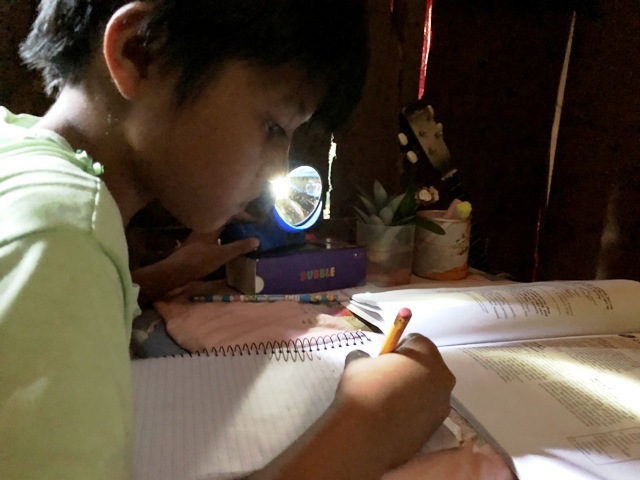 So every night, he has to accomplish his homework and review his lessons using only his small flashlight as a source of light – a light that symbolizes hope with his unwavering passion to fulfil his dreams of becoming a teacher and a soldier at the same time someday. Aside from being a studious student, Jan Aure is also a good son and a “little entrepreneur”. Every weekend, he knocks on his neighbors’ doors to sell the food, “merienda”, his mom cooks. Some 10-year-old kids maybe playing on weekends, but with Jan Aure, he had to work for his allowance for the whole week. It was never easy for Jan when it comes to studying. There was a time he came to school without even a single pencil. Unfortunately, he never got a chance to own a new pencil. It was a twelve-hour drive from Quezon City to Abra. 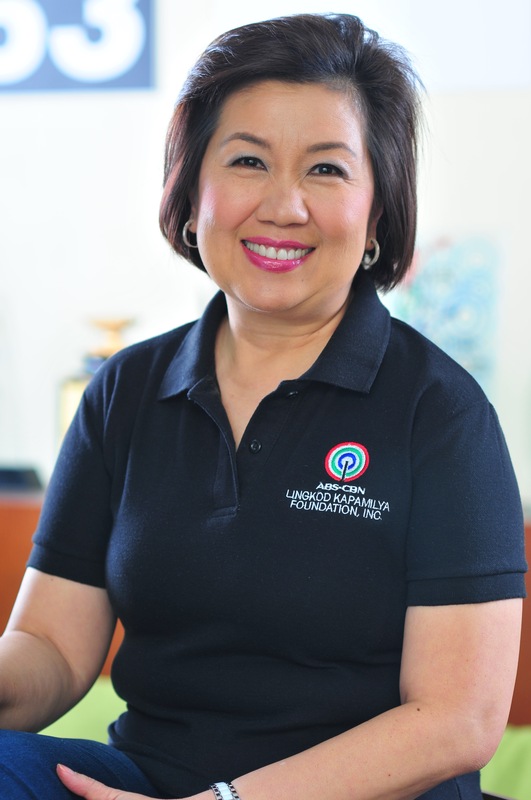 Abra is one of the provinces identified by ABS-CBN Lingkod Kapamilya Foundation’s Operation Sagip to distribute the Gusto Kong Mag-aral bags. Gusto Kong Mag-aral is a project that aims to encourage kids to stay in school by giving them new sets of school supplies. Now on its second year, Operation Sagip aims to reach 105,000 students in public elementary schools. In order to reach the students, Operation Sagip had to place its cargo truck with the bags in a barge that will cross the river to reach the schools. Luba Central Elementary School, where Jan Aure studies, is one of the school beneficiaries. On a gloomy and fine afternoon, Jan Aure, among the other kids, was already waiting. With the sweet sound of clapping hands, children smiling, eyes that expressed appreciation and genuine happiness, all of them were ready to go back to school with their Gusto Kong Mag-aral bags. A bag filled with notebooks, pencils, pens, erasers, sharpeners, and a box of crayons was given to Jan Aure. This may just be a simple bag and school supplies for others, but for him and the other students, this is a sure ticket towards reaching for their dreams. With his contagious smile, one would not feel Jan Aure’s hardships. He has no luxurious toys or expensive gadgets but just a small flashlight and yet, he is thankful. He is thankful that God still provides him the things he needs every day. There is hope. Every day is a battle he has to fight, but Jan Aure is full of aspirations. With big dreams and strong optimism, he knows that someday, the small light from the flashlight will be as bright as his future. Jan Aure is just one of the many kids who inspire Operation Sagip to do better and to reach out to more communities in need.